Purple smiles and ‘bloody’ hands. One two three four — how many more? 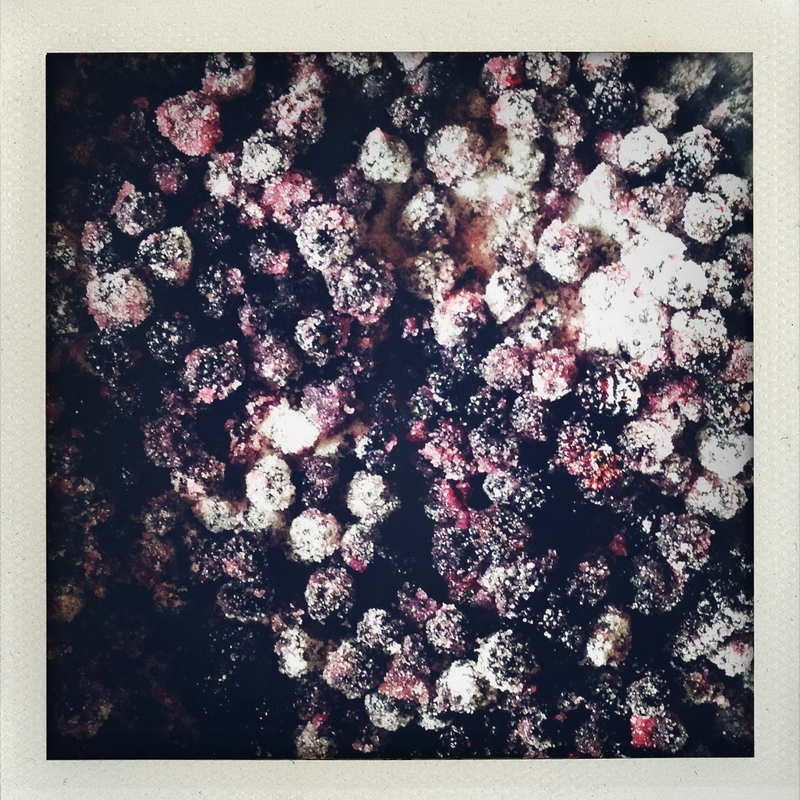 — gleeful children, laden arms outstretched, offering, loaded, big bowls of bouncing blackberries. The kitchen crowded with their relentless harvest. It has been an exceptional summer for wild fruit. Not only in Brittany; British hedgerows are weighted with fruit. And so we pick and pick. And now? Blackberry pies, of course, and cakes brimming with blackberries. And these to capture summer’s flavor, puckery sweet, for more wintry days. Gently wash the blackberries over running water. In a bowl, preferably high and deep, coarsely crush the berries with a pestle or masher. Pour the wine over the berries, cover tightly, and and let steep for 48 hours. Pour the berries into a large saucepan. Add the sugar. Bring to a boil and cook over medium heat for a good 20 to 30 minutes. Strain the juice through a fine mesh sieve. Measure the volume and add the eau de vie at a ratio of 1/3 eau de vie to 2/3 blackberry juice. Using a funnel, pour the liqueur into (clean) bottles, seal tightly, and store in a cool dark place. 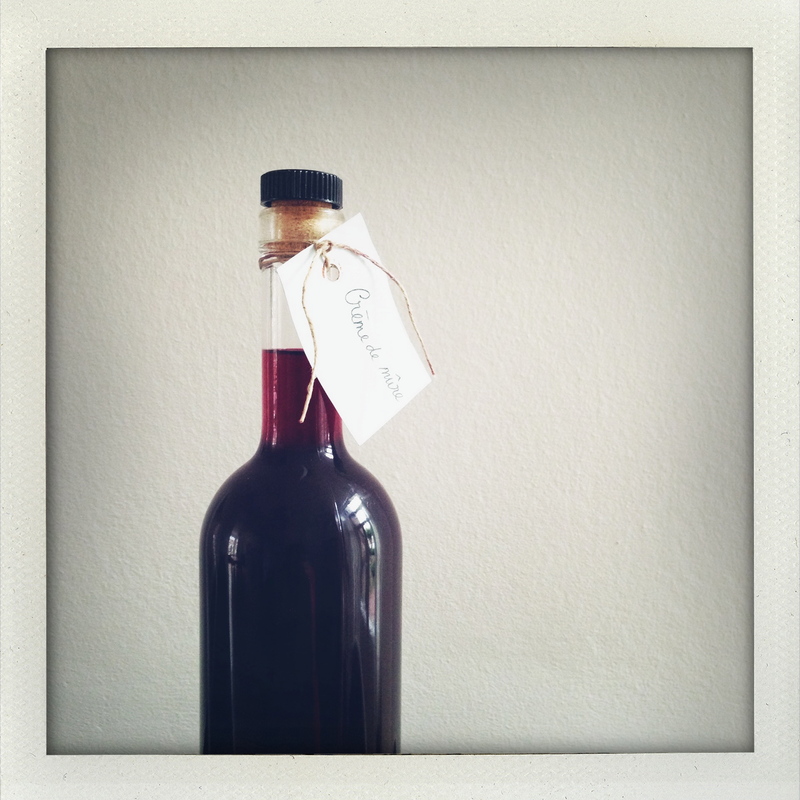 Let the liqueur sit for at least a month before using for the flavors to develop beautifully. Gently wash the blackberries under running water. Using a small, sharp knife, cut a long ribbon of zest from one of the lemons. 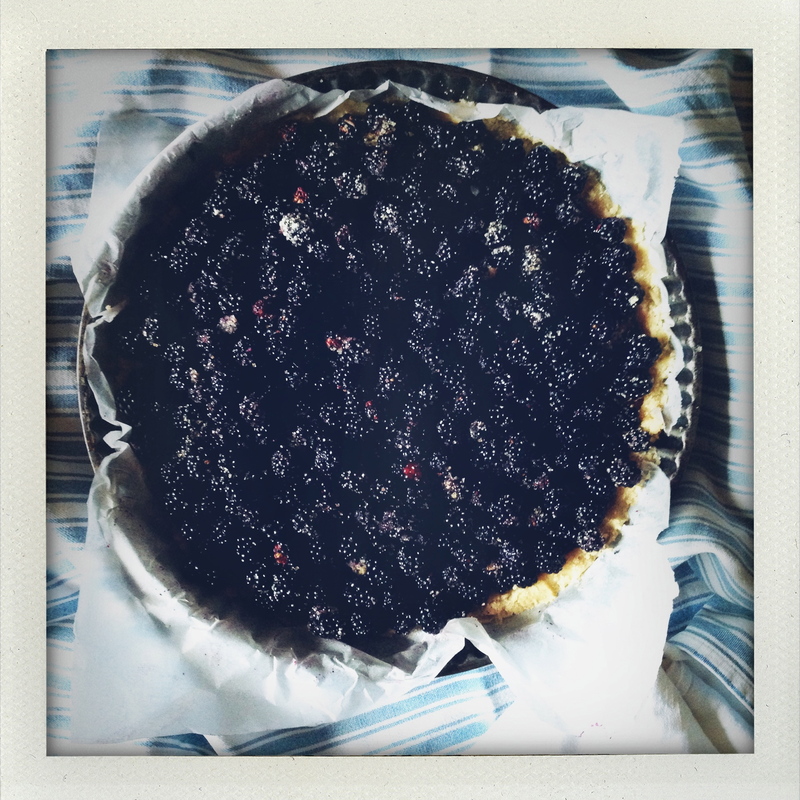 In a large heavy saucepan, mix 1.6 kg of blackberries with the sugar, ribbon of zest and juice from one lemon. Let sit for a few hours or overnight, as convenient. Later (or the next day), add the other two, very thinly sliced lemons. Bring the fruit/sugar mixture to a boil over medium heat and let the jam bubble away for about 20 to 30 minutes. The boiling bubbles will become less vivacious as the temperature rises to the point where the jam will set. As the boil becomes more leisurely, the jam ready to set, add the remaining 400 g of blackberries. Cook for another 10 minutes. Sterilize the jars in boiling water for 5 minutes, transfer the hot jam into the jars, seal tightly, and store for a few weeks at least before opening! 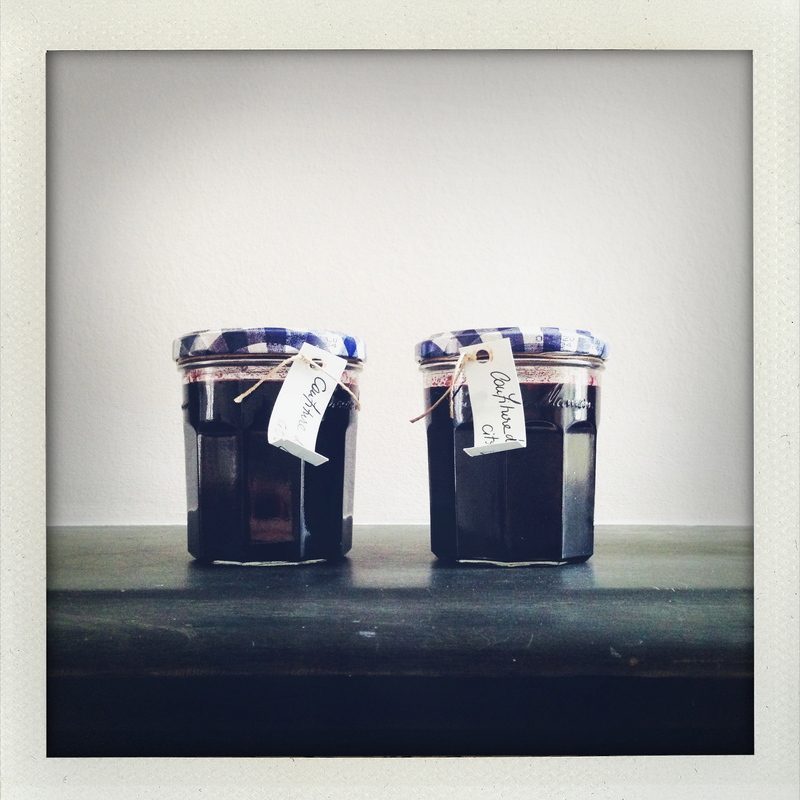 This entry was posted on 19 September 2014 at 05:00 and is filed under Fall, Homemade and preserves, Seasonal, Summer, Wild food. You can follow any responses to this entry through the RSS 2.0 feed. You can leave a response, or trackback from your own site. All mouthwatering, especially the liqueur. Thanks very much, kind of you to say.